All successful makeup artists had to start somewhere. Like most, they had humble beginnings working behind a makeup counter inside a department store or at a makeup boutique. Here are some amazing men and women who started behind the beauty counter before getting their big break. In our Chic Studios NYC makeup school, we put our graduates in an aftercare program called the Chic Pro Community where they are given exclusive access to events, shopping discounts, and job listings and opportunities. Recently, we’ve posted about being a beauty consultant for Nars and when our Sephora Hiring Fairs are coming to our studio. All makeup artists had to start somewhere, so we’re excited to give our graduates a platform where they can research jobs and connect with our other graduates around the world. 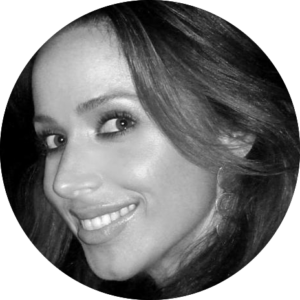 Celebrity makeup artist, Mary Phillips, has painted some of the most beautiful faces in the industry. Since 2006, she has been working as Jennifer Lopez’s makeup artist (that iconic J.Lo glow is all because of her) and has worked with other gorgeous ladies like Chrissy Teigen and Gwen Stefani. From a very young age, she knew exactly what she wanted to do: be a makeup artist. She got her start by going to beauty school as an elective in high school and was able to get her license soon after. 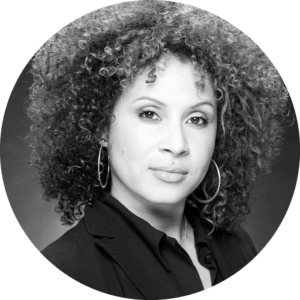 Her parents forced her to go to junior college where she was assisting Eugenia Watson of Senna Cosmetics and working a full-time job at Watson’s salon in Beverly Hills. Jessica Simpson was her first “big” client and she worked with her for about 7 years, nationally and on Dukes of Hazzard. She met Jennifer Lopez through Ken Paves who was J.Lo’s and Jessica Simpson’s hairstylist as well. She aced her makeup trial with her and the rest is history! For Phillips, her job is all about collaborative effort. Getting a look together not only involves the celebrity and makeup artist, but also the stylist, hair, and nails as well. Phillips absolutely loves what she does because she’s able to bounce ideas off with her team in order to fulfill a look. Whether the outfit, hair or makeup, is the idea, the team will work together in order to create a look that will wow audiences. 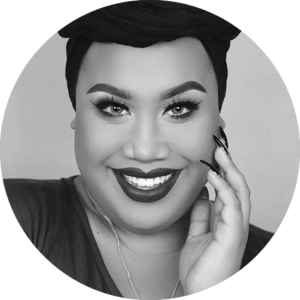 Patrick Starrr– born Patrick Simondac– turned his love for makeup into a Youtube empire complete with international business trips, millions of followers on social media, and a collaboration with MAC Cosmetics! In high school, his interest in makeup began when he started doing photography and realized that he could use Photoshop to edit blemishes, imperfections, and add makeup to headshots. He was constantly busy growing up and would work at Panera Bread and MAC Cosmetics, do hair, and was also enrolled in nursing school. His life changed when he was depressed because he wasn’t receiving enough hours at MAC. He loved the way makeup made him feel and he didn’t want his creativity and artistry to deplete, so he turned to YouTube. His first video was a daily glam makeup routine and the rest is history! Today, Patrick has almost 4 million fans on Youtube and Instagram who stay inspired by his gorgeous looks and constant motivation. He represents a new generation of young men and women who need to see themselves on the screen, not another celebrity manufactured to perfection. His advice to makeup artists and anyone who is having trouble to find acceptance is to be patient! The perfect moment will come to you and change your life. With makeup artists who are afraid of taking risks, Patrick says to just go for it. With time and practice, you’ll get better and hone those skills that you were struggling with. He suggests to change your perception and use either a hand mirror or bathroom mirror, so you can analyze your face from all angles. Before getting her big break and becoming a pro lead at Smashbox Cosmetics, Lori Taylor Davis was working at a department store counter in California. While at work, a makeup artist, who worked for a news station in the area, would always come in and pick up beauty products for shoots in the store Lori worked for. She would always bother him with questions about working in the industry and if he ever needed assistants on set. Finally, he gave in and brought Lori along but on one condition: she wasn’t to speak a word and just assist him with whatever was needed. Through him, she was able to learn how to listen and how to work on set. 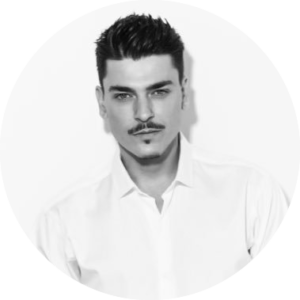 10 years ago, Mario Dedivanovic would have never believed he would be a sought-after makeup artist with more than 4.1 million followers on his Instagram and teaching Master Classes all over the world. He’s created countless looks on Kim Kardashian and together, they have transformed the beauty world in many ways. At the age of 17, Dedivanovic was looking for a summer job and Sephora had opened up a location in Manhattan. They hired him as a fragrance consultant since he had no experience or knowledge about beauty. But on his first day on the job, even though he was supposed to be a greeter, he helped a customer find the perfect lipstick shade and that’s when he knew he wanted to be a makeup artist. His first makeover on someone took three hours, but eventually, with tons of practice, he was helping assist makeup artists on photo shoots, working on the Fox News set, and going back and forth working for Armani Beauty at Saks Fifth Avenue and Henri Bendel. He had to do as much as he could to build up his portfolio since this was before social media erupted. Everything Dedivanovic does is for his mother! He’s inspired by her since she was the one who taught him about inner beauty. Before she wouldn’t tell people that her son was a makeup artist, and now she’s constantly bragging about him to everyone. His advice to emerging makeup artists is to stray away from trends and work with what would make your client look more beautiful. Some trends and products won’t work for them and that’s okay! Throughout his career, Dedivanovic focuses most on how to make them feel beautiful which has definitely worked for him! Jeanine Lobell is a world-renowned makeup artist who has worked on amazing movies like John Waters’ Hairspray and multiple music videos for R.E.M, Wilson Philips, Mötley Crüe, and Mariah Carey. What you might not know about her is that she is the great mind behind one of Chic Studios’ favorite brands, Stila. Growing up, she was rebellious and enrolled in a 6-month program at a makeup school called Complexions London School of Makeup. Soon after, she moved to Paris where she worked part-time at the Chanel counter but she eventually got fired because she refused to wear pantyhose. From there, she never worked behind a beauty counter again. Her first big break came when she moved to LA and was working on various productions for movies and music videos. Though she was able to work with huge names in the industry, she told Into the Gloss that sometimes she would work horrific jobs but at the end of the day– a job was a job. She states, “It’s really up to you. I think that the first time is luck, the second time is you.” Stila was born when Lobell’s friend Allison had the idea of creating a clothing boutique. Allison wanted to have a makeup line featured and this introduced Lobell into researching different factories that would work for her small company. The name “Stila” was simply made up because it sounded like the Swedish word for “stylish.” After a few ups and downs with packaging and manufacturing, Stila has thrived into the brand that we know today! 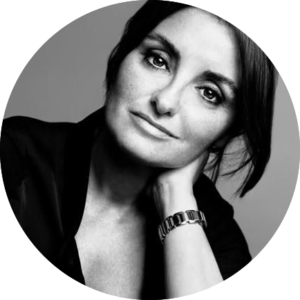 Lobell’s advice to aspiring makeup artists (which is also advice to her own children) is to “find something that makes you happy because I can’t think of anything worse than going to work every day and hating your job.” She says that you can do whatever you want as long as you’re excited to be alive. Lobell is an amazing example of someone who truly loves their job. After leaving LA, she moved to New York where she delved more into fashion which is inspiring and challenging for her. She wakes up and is happy to go to work since every day she gets to create something and work with amazing minds whether it’s a photographer or working with the creative director for a clothing line.